One strategist says the Euro-to-US-Dollar rate could go as high as 1.25 before the ECB acts more forcefully, while others say it is already too high. The ongoing debate over the fate of the Euro-to-US-Dollar rally became louder Friday, with strategists from all corners of the financial world throwing pennies into the pot. In a move synonymous of a broken consensus, the Euro-to-Dollar pair stalled in London, hugging its post-ECB average around the 1.2050 area closely into the afternoon session. “We would not recommend chasing the Euro rally further. 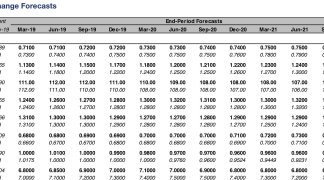 Our forecast for year-end remains stubbornly at 1.20 even as the consensus drags its forecasts higher, with some now more bullish than us on the Euro,” says the foreign exchange team at HSBC, in its monthly Currency Outlook. Heightened debate follows the European Central Bank’s latest policy statement and press conference, on Thursday, where Draghi & Co were seen playing for time before making a further commitment to begin unwinding the ECB’s quantitative easing program. 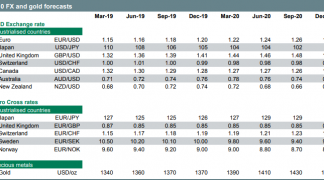 “Tapering of quantitative easing will start this autumn but its gradual nature does not justify the EUR/USD at the current elevated level,” says David Kohl, chief currency strategist at Swiss wealth manager, Julius Baer. The ECB cut its inflation forecasts and raised its estimates for Euro area economic growth Thursday, while bank president Mario Draghi made what was left looking like a half-hearted attempt at talking the Euro back from its recent highs on Thursday. “ECB talk was insufficient to deliver even a temporary blow to the euro. 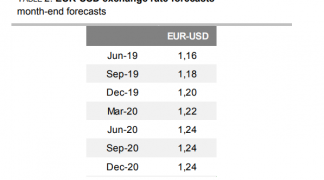 It is difficult to see the rally being derailed, therefore upside risks to our (already bullish) EUR-USD forecasts have increased further,” says Dr Vasileios Gkionakis, head of FX strategy research at Italian bank, UniCredit. 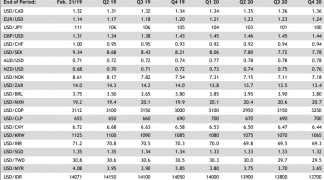 While noting that the exchange rate has had some impact on ECB inflation forecasts, Draghi said gains for Euro based currency pairs are a reflection of both recent strength in the Euro area, as well as weakness elsewhere. Markets had expected a more concerted attempt to push the Euro lower.